Described as a sleepy coastal retreat, South West Rocks (SWR) is an oceanfront holiday town on north-facing Trial Bay. What makes it special, is a small island, more literally a rock, called Fish Rock, which has a cave running right through it, just a 30-minute boat trip from the wharf. The rock is about 80m wide, and 160m long, with the main clefts in the rock and the gutters below running north-west to south-east. The reason it’s so special and has a stunning diversity of sealife is that it’s the closest point of the eastern mainland to the continental shelf and East Australian Current. Most people’s recollection of Fish Rock is the cave, but for me, Fish Rock is just that: a rock surrounded by fish – and more. 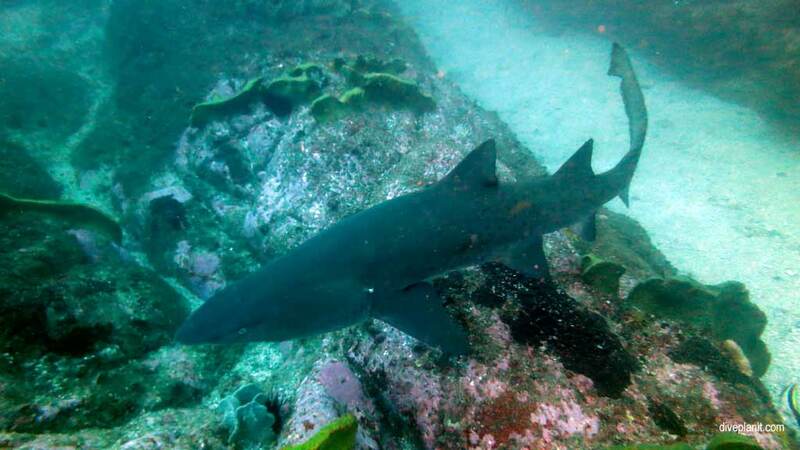 Sure, it’s fun to play sardines in the cave with two turtles, a bull ray and two other divers, but I could lay for an hour in the gutters and watch the Grey Nurse Sharks cruise lazily by through the schooling baitfish. South West Rocks is about 15 minutes from the Pacific Highway, about 4 hours north of Sydney and 90 minutes south of Coffs Harbour. 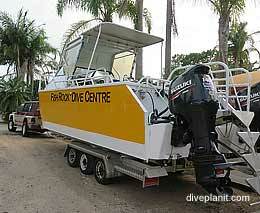 Fish Rock is a 30 minute boat trip from the boat ramp on the Macleay River in South West Rocks. Note the boat ramp is not directly on the ocean – you need to turn left off Gregory Street before you hit the town centre proper. Arakoon headland has its own micro-climate complete with Pandanus. Both have excellent websites, so you can do your own research too. 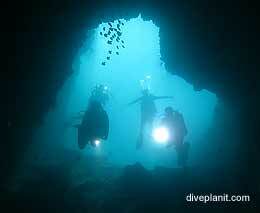 The icon site is Fish Rock, and within that, Fish Rock Cave; but Fish Rock is a lot more than just a cave dive. There are rocks and boulders out front, and Shark Gutters out back. 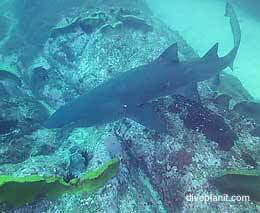 There are also a number of other submerged reefs around it, where you’ll typically see big stuff drifting by. 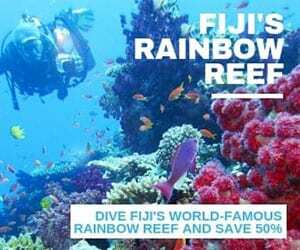 There is also Green Island, a completely separate island surrounded by rocky reef habitat, which is on the way to the Rock and makes for a great second dive if you think you’ve done the Rock to death. 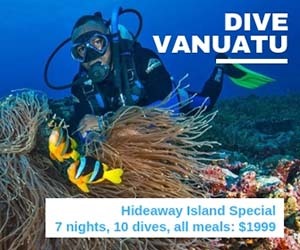 There are many different ways to dive Fish Rock, and you can easily spend two double dives and still not see half of it. If the conditions are right, you can do a nice drift dive from the northern most point (let’s call that 12 o’clock) clockwise to the fish gutters at 5 o/c; from there you can pick up the southern entrance to the cave, traverse through the cave to the rocky exit and onto the shell grit ‘beach’ at about 11 o/c, then turn left and circle back anti-clockwise through the aquarium (at about 10 o/c) and back along the wall to your boat that will be moored on one of the moorings at 6 o/c. Each of these segments is a dive in itself. 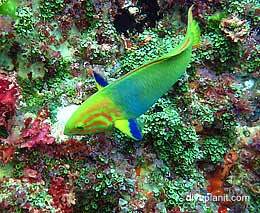 For the purposes of describing what’s to see in each area of Fish Rock, we’ve described them as three separate dives – though any dive could take in parts of all three. Both operators can organise on-site accommodation from bunk-style to private rooms. There are also plenty of other styles of accommodation in the area, suited to both couples getting away from it all, and families – bringing it all along! You’ll find a few ideas here. The Old Lighthouse Cottage is certainly an alternative place to stay. SWR is not a small place – it’s actually a town, so there are stacks of places to drink and eat. Grab the local free map, and ask your operator or fellow guests to recommend somewhere according your budget and what you fancy. A few recommendations from my most recent visit: a quick coldie over-looking horseshoe bay: The Seabreeze Hotel; best ‘hand-made’ pizzas: Paragon Pizza on Paragon Ave (try the Cowboy), and excellent coffee: The Heritage – also on the front. Being ‘Country NSW’ pretty much the only sensible way to get around is by car. For a ‘sleepy coastal retreat’ there’s actually plenty of stuff to do and see around SWR. 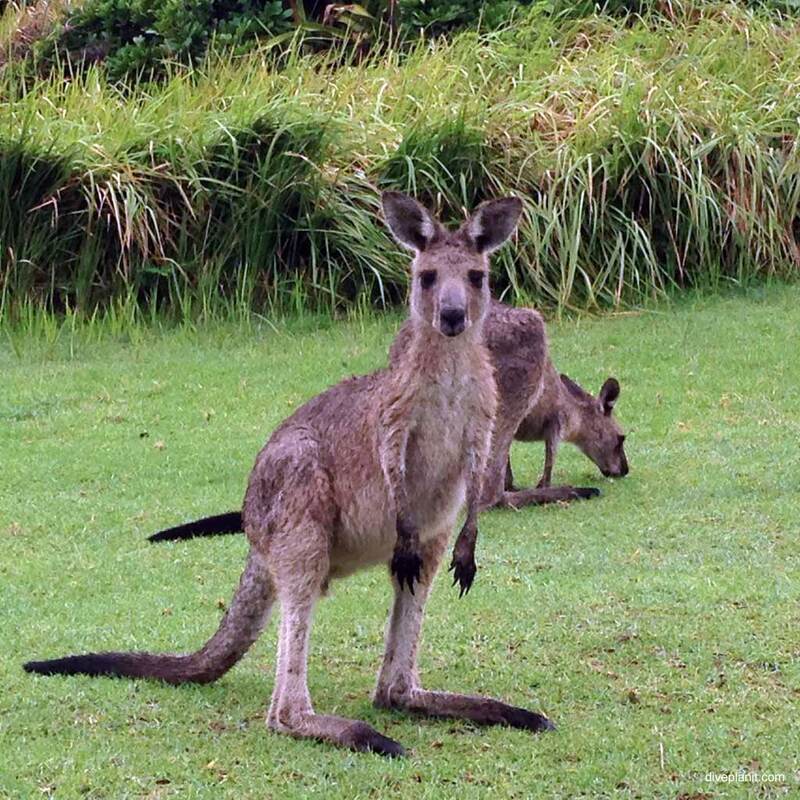 Check out: Visit NSW. 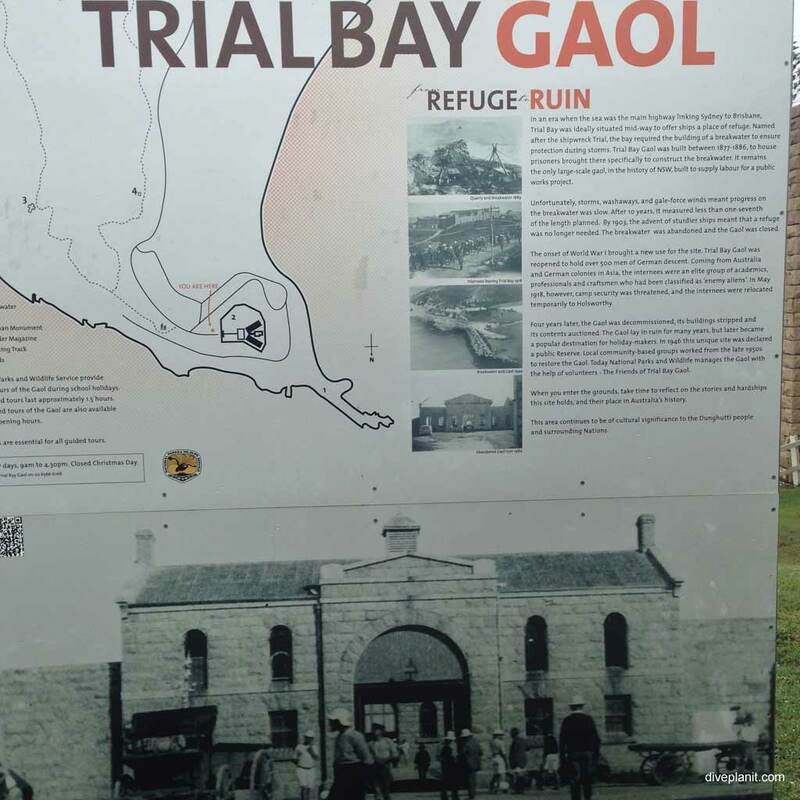 As well as the local geology, the area has a rich history and no trip would be complete without a tour around the Trial Bay Gaol. 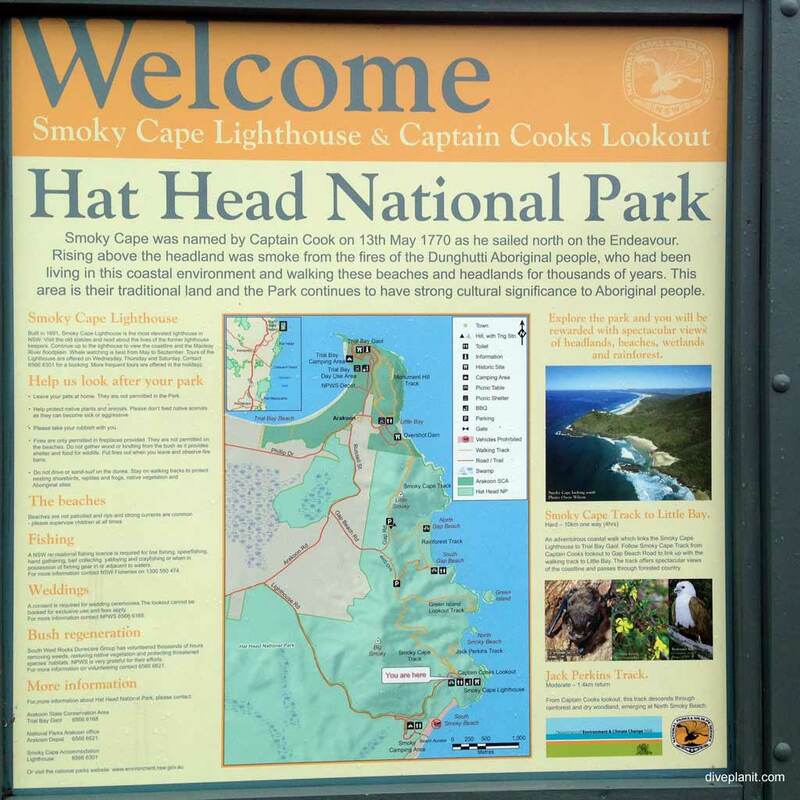 There are numerous walking tracks, a lighthouse, numerous beaches – kangaroos included gratis, rock pools, national parks, including the local Hat Head national park which is great both at the water’s edge and inland. Bring the family and make a week of it! 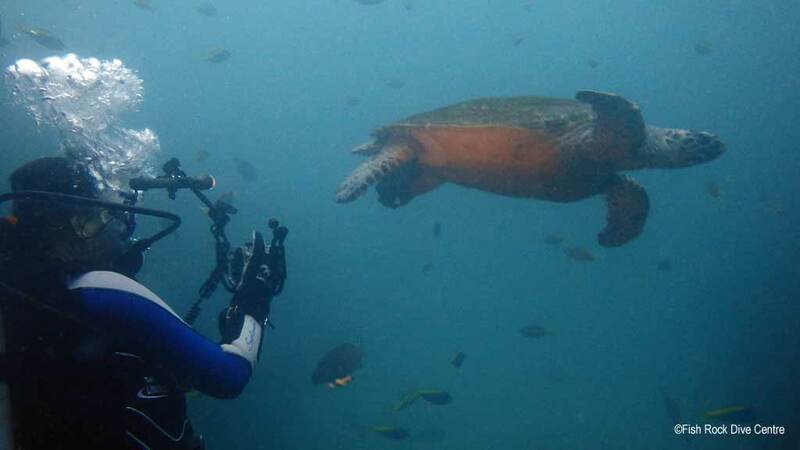 (Then you’ll be able to take advantage of Fish Rock Dive’s mid-week special which will give you some of the best diving in NSW at the best value). South West Rocks is about 15 minutes from the Pacific Highway, about 4 hours north of Wahroonga and 90 minutes south of Coffs Harbour. The turnoff is just south of Clybucca (and it’s a very tight turn if you’re coming south). Head along Plummers Lane, and turn left at the T junction after you cross the river. This is Gregory Street which is pretty much the main street and the town centre is at the end of it. 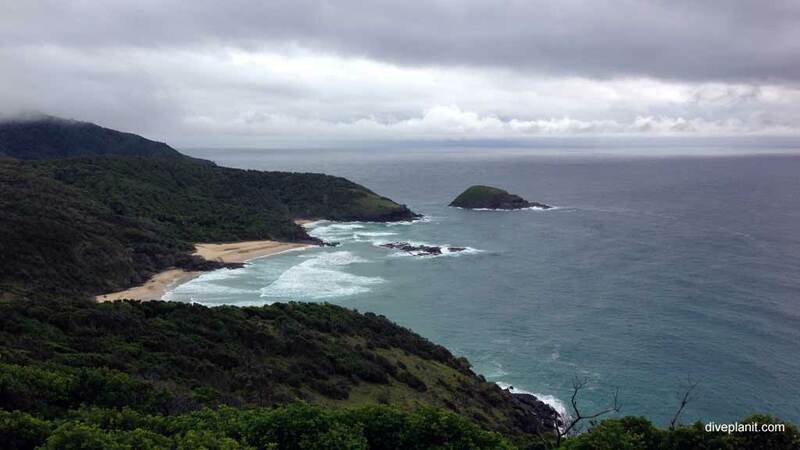 Include this dive on any trip between Sydney and Coffs; it's even accessible from Coffs. 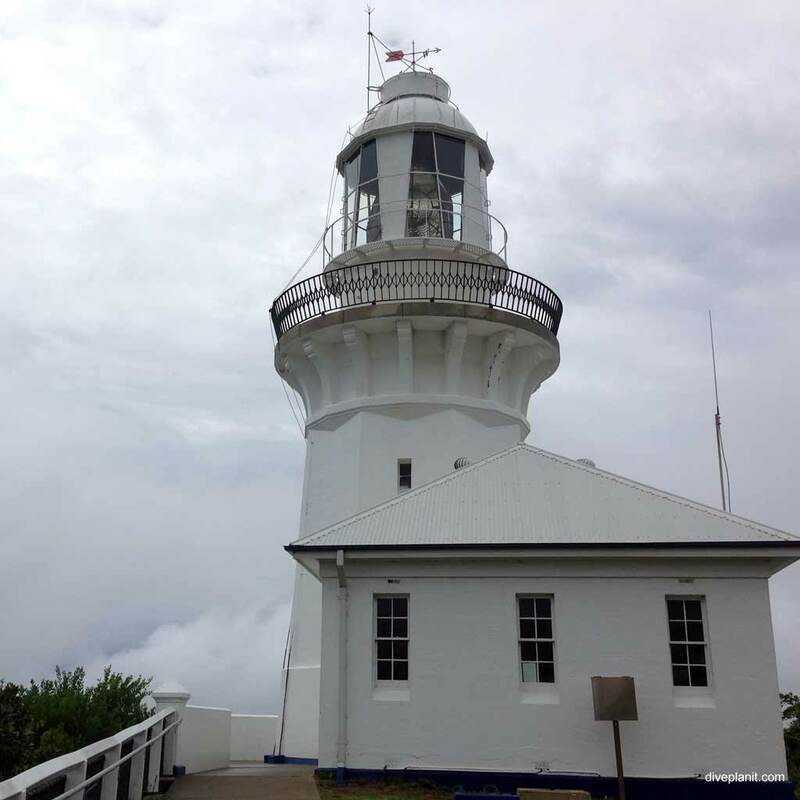 Find the time to include a trip around Arakoon Road to take in the Gaol, Little Bay and the Lighthouse.